Tips & Troubleshooting for: "S-B-S Sealer","Penetrating Paver Sealer", "Porous Stone Sealer", "Mexiglaze" "S-B-S Sealer Aerosols", "4in1 Sealer Concentrate"
If you are here to review and learn before applying a sealer, congratulations! That is very smart. If you are here because you see something you did not expect, this page should answer it for you. However, it is absolutely critical for you to understand this: There is nothing wrong with the product! If you will do the following easy tests, you will prove this immediately and you can then proceed to diagnose what is really happening from the list below. Key concept: The purpose of doing the tests first is to get over your natural reaction that something might be wrong with the product and keep you from wasting time going down the wrong track. The first step is always to test the product in another application other than your project. This will aid in determining what is really happening and why. If, after testing as described and reviewing the information on this page, you do not have an answer and do not know what to do - contact us for assistance as something is certainly different than you think. We have a form set up on the "Can We Help" page that will quickly gather the information we need to assist you. Before emailing for assistance - do the following tests so you can give us the results in the your email or form. If you contact us before doing the testing and reviewing the information, there will be delays in assisting you because we must still ask you for these test results. We cannot be of assistance to you by guessing. The 3 big tests: Do these tests to quickly understand what you are dealing with. It is important to do all 3 tests. Be patient and do these now and it will save you lots of time and frustration. Test #1. This glass test is very important for you and will save considerable time. It shows you exactly what the product does without any effect from your actual surface and application conditions. Apply a small about (teaspoon) of sealer to a piece of flat, clean glass. Do not spread it. Let it flow and self level without touching it. The glass gives you a clear view of what the product looks like when dry. With sealers or coatings, this will show you the degree of toughness, adhesion, clarity, finish, etc. With cleaners and other products, this will show you what it looks like when dry. Test #2. Apply a small amount to an uninstalled piece of the same surfacing per the label directions. The uninstalled piece of the same surfacing takes away anything that occurred during and after installation. Test #3. Apply a small amount per the label directions to a different type of surfacing with a similar absorption. This takes the surfacing itself out of the equation to show if there is something unusual about that particular batch of surfacing. Now that you see what the product does and how it looks - let's examine the job conditions and determine what is different. The conclusion to be verified is that something has occurred during the installation, or in the time span after installation, to interfere with performance. You do not want to do anything else (reapply product, strip, etc.) that will complicate identifying the issues. Note 1 : as you read below, you might find this information of benefit. This sealer is in the family of formulas that include: SBS Sealer - Penetrating Paver Sealer - Porous Stone Sealer - Mexiglaze. You can change from one of the above sealers to another of the above sealers, if you decide the other will be more appropriate to your job. This is because they are in the same formula family and will bond to each other if applied per the label instructions. However, test a small sample area thoroughly to confirm you are making the right choice in changing before ordering quantities of product. Note 2: Our web pages show the sealers on various surface types. However, this is a guideline only. Surfaces can be different than you think and vary quite a bit in absorption. Always test samples. Note 3: Any reference to testing with muriatic (hydrochloric) acid is to be done with that acid as purchased from a store, not another manufacturer's cleaning product that says it contains that or any other acid. Or, you can test with Aldon's Grout Residue Remover / Brick and Block Cleaner. This provides the strength for valid results. Note 4: Any reference to testing or use of lacquer thinner refers to that purchased from a paint store or professional's source. It should contain primarily one or more of the following: "Xylene" (Xylol), "Toluene" (Toluol), "Methyl Ethyl Ketone". This provides the strength for valid results. Lacquer thinner from a "big box" store can be of lesser strength. "Mineral Spirits" and "Paint Thinner" are not as strong as good quality lacquer thinner and may not provide valid results. Note 5: Always keep in mind that quite often there is more than one factor causing a problem. Many projects can have combinations of efflorescence, mineral deposits, old sealer present of which you were unaware, etc. There are even variations in natural stone sources that can play a part. Don't immediately assume it is just one thing. You will save time, work, and expense if you consider all possibilities and combinations. Note 6: There are quite a few variables that can be involved in any project. The subjects discussed here are in almost random order because of that. Type CTRL F . You will see a search box at the bottom left of your browser that says "Find". Search this page for your keywords. However, do not just stop with the first hit. You can find multiple occurrences of the word "white" for white spots, white haze, white streak, etc. Note 7: Nothing is a disaster. We can help you get to your goals. Relax and proceed step by step. Here is a list of issues: these can happen with any sealer from any manufacturer. Therefore, this page can help you diagnose an issue with any sealer. Please note that everything mentioned below would not happen with an Aldon sealer if our program tools were used to test, select the correct product, and apply that product per the label. Applying per the label automatically corrects for almost every unknown condition of the project. As labels on cans can be not the current label, to see the most current label - see the product information list and select the product. Sealer applications can be made hours or years later, but do not apply thin layer upon thin layer. Apply a sufficient quantity to insure below surface penetration & bonding. Or, test spray on of lacquer thinner as an alternative to slightly melt and reform the surface and not build too much gloss or sealer layering. Use of Aldon "Lifeguard" is another alternative to increase gloss in appropriate locations. Leaving streaks and/or uneven gloss? This should not happen, but here is how it could happen. Contrary to the label directions, you are painting it on. Let the puddle spread and only assist the puddle to flow and spread. Let the sealer penetrate and self level. See below for more detail on uneven gloss, but when you see more gloss where you make the puddle, and less gloss where the liquid is pushed out of that puddle, it is a sure sign that the application process needs to be adjusted. The answer might be as simple as adding more liquid before you push the puddle to the next area. You may be trying to brush the sealer onto a very dense, low absorption surface like a marble tabletop. Spraying works much better to leave a smooth finish. You can either use our spray can of SBS Sealer, or get a small and inexpensive jar and cartridge type sprayer from a hardware store. The sealer you chose is too high in solids content for the surface type's absorption characteristics. This would result in solids sitting on top and being dragged (streaked) by the application tool. The sealer can be dissolved with lacquer thinner for touch up. Experiment with a small puddle of lacquer thinner and swirl lightly with a fine "hair" type (solvent resistant) brush and allow to spread out and self level. Options: Change to a lower solids level sealer per the notes above. This sealer should also dissolve the streaks left by the sealer that was too high in solids for your surfacing. Experiment with diluting the remaining sealer with lacquer thinner. Another option is an aerosol spray can of S-B-S Sealer because the spray creates a very smooth and even finish. Uneven gloss - Some areas glossy and others not? Uneven densifying (gluing down, making stronger) - Some spots will still "dust off" on your hand or "flake" off. Instead of letting the product self level, it has been pulled from areas with the application tool that needed more sealer due to absorbency requirements. The surface is highly absorbent, or uneven in absorbency. Some areas absorbed more sealer and have less gloss, other areas absorbed less sealer and have more gloss. In both cases, the answer is the same. Any materials that take more sealer, need it for reinforcement of porous, softer areas. Add more sealer and allow to self level and blend together. If taking too much sealer, move up to one of a higher solids content as explained above. Uneven color appearance? (see above for uneven gloss ). Note that this sealer is in the "color enhancing" category. The effect on most surfaces is to do the same thing as water on that surface on a permanent basis. This is perceived as darkening of the color, but is really just enhancing the natural colors. Unevenly colored surfacing may not mean you did not apply the sealer correctly. It could be a natural characteristic of the surface type. However what is most likely is - If you followed our label directions, any unevenness is probably from uneven absorption characteristics of the surface material. If so, this is easily improved! Here are the considerations: Do not apply Lifeguard until you are satisfied with everything else. You might have cut back on the amount of sealer going into the stone out of concern that you would be using too much sealer. That is a legitimate concern in terms of money, but maybe not what is best for the surface material and the project. The amount the surface seems to take in is a good indicator of a softer surface that, in fact, needs to be strengthened with a larger quantity of sealer. What you can do is change over to another sealer of the same formula type family (see above about solids content). A formula with a higher solids content will take fewer gallons to fill an absorbent surfacing. This can save you money. You would be using fewer gallons to supply the same amount of solids. But, test samples first and look for any surprises like differences in color effect. You can add in as much sealer as you like to get the appearance, etc. that you want. The sealer can make water bead, even with the sealer amount being uneven and less than you would like to have. If it beads water and you have achieved the appearance and other things you want, then it will support the Lifeguard and you can proceed with the Lifeguard. If the appearance is good, but does not bead water everywhere - you need more sealer. If you are seeing white (powder, haze) appearing below the sealer. This should not happen. Wet your finger, wipe across white area, and see if white comes off on your finger. If it does, it is on top, not below the sealer. If below, it means the sealer did not penetrate. Perhaps the label directions were not followed, perhaps the sealer is too high a solids content for the surfacing and the solids are only a paint job sitting on top. This can also result in sealer peeling. You do not need to remove the sealer. First do the following to salvage the solids and get them penetrated into the surfacing - (On a small test section): Make sure it is clean. Pour on more sealer per the label directions. Let the puddle dissolve the old sealer and all go below the surface. You can assist this with simple swirling of a paint brush, but do not start painting it out again. Add more sealer as needed to get good penetration down into the surface. Let cure for 3 days. You should now see a considerable difference and have a much better sealing job. This means some places are not allowing the sealer to penetrate. This could be a natural characteristic of some stone types, but is usually because of a previously used sealer. Assuming you have stripped the old sealer (see Aldon "Premium Stripper") and everything on the surface has been removed, this is old sealer remaining below the surface. In a situation like this, you need to use a sealer that does not affect color or create gloss as either of those will create an uneven appearance due to the varying absorption. Test Aldon "Same Day Sealer" and the look should be even as an end result, and it will seal those areas where it can penetrate (unsealed places). Some places will not absorb (because they are sealed) so wipe off the liquid before it dries in those places to prevent white residue. It can be an uneven application of sealer to the grout and simply adding more sealer should correct the color. However, it could also be a grout additive that was not evenly dispersed in the grout mixing process. A grout additive can act as a repellant to other liquids including sealers. If the additive is unevenly dispersed, some portions of grout will be darker because there was less additive there to interfere with sealer penetration. Lighter areas would have more additive present and repel the sealer penetration to a greater degree and that makes it lighter in color. Add more sealer to a light section to see if it will darken. Grout additives are usually acrylics or latexes. Apply some lacquer thinner to see if it will melt the additive and the sealer and allow for more even penetration and color. More sealer might not be necessary. White stains noticed? White stains are not from the sealer nor does the sealer create efflorescence. When applied correctly the sealer prevents efflorescence. . You can use lacquer thinner (see notes above) to remove sealer at those spots, then "Grout Residue Remover / Brick and Block Cleaner" to remove efflorescence, mineral deposits, or grout residue cement stains. Then reapply sealer. On top of the sealer, it could be mineral deposits or planting area rain runoff. The sealer may be losing bond from poor application technique or a condition interfering with it's penetration. Deep penetration was not achieved and the result was only a thin coating that is peeling. A possibility with some stone is lighter colored sections (crystals?) that became more obvious after the sealer was applied than before it was applied. White spots UNDER the sealer? This can show up after a length of time and might be after some stress to a sealer surface that is not well bonded, such as water (rain or mop), heavy traffic, high temperatures, etc. What this can be is small spots of sealer peeling from the surface. The air gap created looks white. A good way to test for this is with a piece of tape. If tape pulled up removes more sealer and the area looks worse, the sealer has not penetrated and bonded properly. What can be done about it? The quick and easy answer is just add more sealer. The new sealer will melt the old sealer and the result may be a thicker layer of sealer and, perhaps, better penetration. This may last for quite some time and be the easiest solution. A more permanent solution would be to remove the "bond breaker" condition through stripping and/or sanding it away before reapplying sealer. Gray (or other color the same as your grout) stains noticed? Gray or colored stains are not from the sealer. It is most likely residue from the grouting process that was not noticed prior to sealer application, not noticed when sealer was first applied due to sealer's color enhancing effect, then was noticed after sealer became dry and the surface color became lighter. You can use lacquer thinner (see notes above) to remove sealer at those spots, then "Grout Residue Remover / Brick and Block Cleaner" to remove the grout residue. Then reapply sealer. Another possibility with some stone is very dense sections (crystals?) that became more obvious (lighter or darker) after the sealer was applied than before it was applied. Sealer has turned white after a few weeks or more? The label directions were not followed in regard to achieving penetration into the surfacing with enough liquid being applied. Thus, you have a "paint job" on the surface and little penetrated into the surface. Usually, the application of more sealer as described on the label with melt the old sealer, penetrate all down into the surface, and result in a good seal job. If the label directions were followed and plenty of liquid was applied, it could be that the surface had some contaminant or old sealer present above and/or below the surface that prevented penetration of the new sealer. The fix is to strip off everything, including the contaminant or old sealer. If old sealer, remove as much into the surface as the surface will allow so the new sealer has a better chance for a good bond. Then re-seal a small test area and evaluate in a few days. The test on glass and other tests at the top will show you the sealer is dry to the touch in a few hours. Under normal conditions, it cannot be tacky. Wax or oil (possibly unknown in the project history) that was displaced by the sealer and now sits on top. Use Aldon "Insta-Clean" to remove without harm to the sealer. You used a lot of sealer to build up a higher gloss. If there is not a lot of solids sitting on top (that is what creates gloss) it takes longer for the solvent to leave through this thicker layer. It may take a few days longer to dry.. Using more sealer than you think it should? If you have extremely porous surfacing that seems to be absorbing too much sealer, see the label for the technique to decrease the gallonage of sealer needed. Also, you might have a surfacing that is more absorbent than you thought and you could instead be using one of the higher solids level sealers as described above. These are in the same family and you can change to another one to finish the job. If sealing pavers with sand joints, most of the sealer is probably going into the more absorbent sand joints. That is good because it will stabilize the sand. If sand stabilization is not desired, you can try spraying the sealer and using that technique to control how much goes into the paver and how much into the sand. See for information about sprayers for petroleum solvent based sealers. Build up of too much gloss? Not penetrating down enough? Too much sealer sitting on top and you can scratch it off? The sealer is too high a solids content for this surface's actual absorption. It may be a different absorption level than the typical surfacing by that name. Or, possibly it was sealed in the past. Reduce build up by pouring on some lacquer thinner to melt and dilute the solids. If they don't penetrate, wipe up the excess with a clean white cloth. Reapply lacquer thinner to melt streaky remainder and let flow and self level to a smooth finish. If you have purchased the sealer and your testing shows it is too glossy, you can thin it with lacquer thinner before applying. Try one part sealer to one part lacquer thinner, then adjust as necessary. However, it is the solids content that is important so do not overdo the dilution. Also, do not dilute just to extend the product to save money. It is not the liquid that matters, it is the solids content. The solids are the ultimate sealer, the liquid is only the carrier of the solids. If you are only at the testing stage - congratulations! This is exactly why you test first. Simply test next one of the lower solids level sealers described above. Bubbles trapped in the sealer? Bubbles are created by air below the surface that is displaced by the sealer as it penetrate down. The air bubble rises to the top and bursts. Then the still liquid and flowable sealer fills in and self levels. If the bubble is not rising to the top, the sealer is being applied too heavily and too thickly for that particular surface type. The bubble is not escaping before the sealer starts to dry. Apply the sealer more thinly and use two or more applications if necessary to get the final finish. Experimenting with the process will show you the right amount to apply over a given area to allow displaced air to migrate out. Existing bubbles can be removed by using lacquer thinner to re-dissolve the sealer and let the air bubbles come out. The liquefied sealer will then self level and dry normally. Sealer has pooled in a low spot (grout joint, stone pocket, etc.) and is too thick and glossy in that area? Even if fully cured, the sealer can be melted down with lacquer thinner and allowed to further penetrate or be removed. Indoors: Usually from mop water. If you are not using Aldon "Maintain", it could be residue from your cleaning products. This has frequently been reported from using supermarket floor cleaners. There could be minerals in your mop water, even if you have a water softener. Let a 1/4" of water from the same tap evaporate from a glass to see if residue is left behind. See Problem Solving for "mineral deposits" for cleaning. When a large mass of concrete and surfacing is subject to heat (day) it expands. When cooled (night) it contracts. When a penetrating type sealer is too high in solids content for a low absorption surface type it builds a beautiful, shiny finish immediately instead of penetrating down into the stone. The goal with a penetrating sealer is to get penetration and bonding below the surface and not just bonding on top of the surface. As the surface mass moves (thermal expansion/contraction) that top layer bond can be broken and peeling results. If this is occurring, test a small area and not do the whole thing to prove the theory first. Remove any Lifeguard or Tile Cover with Aldon Insta-Clean per the product label to get it out of the way and deal only with the sealer. Then use lacquer thinner liberally to dissolve the sealer solids and thin it down enough to get penetration down into the surface. Use a paint brush to swirl and move the lacquer thinner puddle. Some will sink in, some will not. Let it dry without touching it with the brush so it self-levels and it might end up where you want it for gloss. Hopefully, you will save your investment in the sealer solids and have what would have originally been a better liquid/solids level in the range of SBS Sealer. SBS is the best choice for the denser and lower absorption range materials. Do not use any more Lifeguard or Tile Cover so as to keep them out of the equation. If an outdoor application, they are not really needed anyway and you can use SBS sealer easily from now on to restore any traffic wear that might occur. More to consider : If the surface is not absorbent enough for the solids content level of the sealer. This could be because either the surfacing is naturally too dense for the sealer to absorb into, or there is still an old sealer below the surface that is interfering with the new sealer penetration. Not enough liquid on too hot a surface caused premature evaporation before it could penetrate. The liquid was poured on per label directions, but then "dragged out" by the applicator instead of pushing the puddle and allowing it to self level. The label directions were ignored. If there was good penetration, but the surfacing is still flaking, then the sealer was not able to penetrate deep enough to the weak areas of the surfacing for the reasons above. If the old sealer is unknown or was a fluorochemical type: you can use lacquer thinner to remove the new sealer, then do some light rubbing with "0000" steel wool on the theory that the old sealer might be a fluorochemical type and the adhesion of the new sealer can be improved. Shows a water drop darkens underneath as it penetrates into the surface. This may mean the sealer was insufficiently applied for the surfaces absorption and is losing bond or is no longer there . Test a small section to add more sealer on top and it should renew the appearance (providing there is nothing on top of the sealer). But, read below to get a better application this time. Why can this happen? We know that the sealer doesn't break down and disappear on its own, therefore, logically what has happened is that there was not enough sealer allowed for the surface requirements. The label directions automatically compensate for all variances in absorption characteristics. You may not have been aware that the surface required more liquid than was applied. This applies to all surface types to some degree, but as an example take the most absorbent surfacing (sandstone, Mexican tile, etc.) and it can look like they will absorb a lot of dollars worth of sealer. This will tempt you to cut down on the sealer being used by applying it as more of a "paint job" on the surface. However, keep in mind the following: The more absorbent the flooring material, the more you need to "fill" it with sealer. This will make a softer material stronger and create a situation where you should not need to seal it again as described elsewhere. You may need a higher solids level than this sealer so that you do not need to use as many gallons. "SBS Sealer" is the lowest solids level. "Porous Stone Sealer" is considerably higher in solids content (note the name) and "Mexiglaze is higher yet. You can easily redo and/or continue from "SBS Sealer" to "Porous Stone Sealer" or "Mexiglaze" because the only difference is higher solids. However, you need to test for color enhancement differences. You can lower the consumption of liquid by allowing 3 hours or more between sealer applications. The theory is that the first application will harden and tend to "support" the next application. It may be even better if you can wait 24 hours. Still smell the sealer after a couple of days? Once the sealer is cured in a day or two you should not be able to smell it anymore, especially if you followed the label recommendations for adequate ventilation during application. However, if you have built up a high gloss with lots of sealer it would take longer for the solvents to leave and the sealer to cure. Air movement is very important. Vapors are heavier than air, therefore, aim fans at the floor to move vapors outside. See if anyone else still smells it and consider you could be smelling something else used on the project with a more long lasting aroma. Consider it could be air moved to another room or there might be a rag or tool around somewhere. Sealer not "densifying" (strengthening) or reinforcing the surface? That means you are not getting the sealer penetrated into the weak or soft areas. Perhaps you are not following the "puddle" method described on the label or perhaps the surfacing will not allow the penetration. Make a puddle on a small area in question and do not spread it out. Just let it penetrate in. Let it cure for 24 hours and test the difference. If still in doubt, pour the sealer on a handful of sand and see how it glues all the particles together. That should show you the difference and put you on the right track. Applied sealer (1,2,3 or more) times and the surface below still shows darkening from water penetration or will allow a liquid to stain the surfacing. It does not matter how many "times" you apply a sealer. What matters is the "quantity" of liquid applied and this is usually done in one application by following our label directions. If the surface darkens or stains underneath a sealer, there was not enough liquid applied in however many times it was done. The more absorbent portions of a project require more liquid than the less absorbent sections. 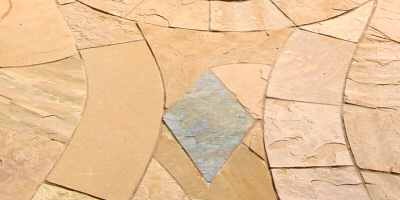 For instance, the grout joints surrounding a dense stone would need more sealer than the stone. Using a sprayer? First it must be solvent resistant, not a typical garden sprayer or plastic/rubber parts will melt from the solvent. Then, in addition to hose and seal deterioration, rubber and plastic residue can be sprayed on the surface. Important to understand is this - When people use a sprayer to apply a penetrating sealer they may forget that the sprayer is only another tool ( like a paint brush or roller ) and the goal is to apply liquid, not a spray of droplets. They may end up with only a spray coating paint job. That "paint job" is only a coating on the top and not enough liquid has penetrated down. It may look good and bead water, but without the designed penetration - it is not a good seal job. The same applies if this is not the first application. You want sufficient liquid to melt, penetrate with, and bond with the prior application(s). Do not just spray a coating on the top and build up a layer on top of a layer. Solar heating and cooling cycles create expansion/contraction cycles that can break the bond of one layer to another over time. This scenario is true of any penetrating type sealer from any company that has solids that can build up on the surface. Cleaning - normal and disaster recovery. Usually all you need is Aldon Insta-Clean to remove dirt, grease, oil stains, bird droppings, tree leaves or berries, etc. "Insta-Clean" will not hurt the sealer. Pressure washing, with or without, Insta-Clean in the water will not hurt the sealer, except if the sealer was not applied properly and can be blasted off the surface. If the sealer has been damaged in some way (irrevocably stained, burned, etc.) it is easy to fix. Lacquer thinner will remove the effected area. Then, just apply more sealer as needed. Lighter and darker pieces of surfacing noticed only sometime after sealing. This discussion will be about stone, but also applies to brick, pavers, tile, etc. We are not talking about sections of white powdery stains (efflorescence or mineral deposits) that might cover 25% of a stone. This is about the full surface of the stone being noticeably different in color than the adjacent stone, and this was not noticed until after it was sealed. This picture is of buff colored Arizona flagstone before it has been sealed. Notice the color and texture differences between stones. The dark blue/green diamond shaped stone in the center is a piece of slate and is not part of this discussion. Notice the large curved piece of flagstone on the left of the slate. its texture is very flat, smooth, and sandy. Compare to the other pieces that are creviced and lighter in color. In this case, the differences between stones are greater than typical because the stones came from two different suppliers and batches. Perhaps, even from different quarries. If the whole job has been sealed and the color differences are now unacceptable, this is a difficult problem. Here are some thoughts (definitely not recommendations), but proceed cautiously because you can make the problem worse by trying to undo or mask color problems. We do not know of any way to safely attempt going lighter on the dark stones. However, it might be possible to go darker on the light stones. To go darker, you need a solvent based tint from a paint store and a "carrier liquid" for the tint that will bond with the sealer used, because that sealer is below the surface and cannot be removed. The "carrier liquid" in this case can be Aldon S-B-S Sealer as it will melt and bond to the old sealer (itself or another) within this family of sealers. If the Aldon label directions on the sealer were not followed, the sealer might be only a painted on layer on the top and not penetrated. If so, it is not a good seal job and that works in your favor because that layer could be stripped and (hopefully) reveal raw stone below. If so, it might dry to an acceptable color and you can start over with one of the non-color enhancing sealers. Try lacquer thinner to strip, but you will probably find Aldon Premium Stripper works better and has a better chance to reverse the color enhancing effect. The sealer has darkened, ( or colored) my surfacing ( or grout ) and I don't want that effect. The darker color must be the natural color of the grout or surfacing that in the past has been obscured by light efflorescence, light dirt, or cleaning residues. This is the color enhancing effect of the sealer, i.e. bring out and enhance the natural color. You could switch to one of the non-enhancing sealers if you really want to retain the lighter coloration. See Surface Type . Used SBS Sealer or Porous Stone Sealer and want a higher level of color enhancement and/or gloss for a very absorbent surface. Note above that SBS Sealer, Porous Stone Sealer, and Mexiglaze are in the same formula family and the solids level increases with each. The higher the solids level the higher the level of color enhancement and gloss provided. This effect can vary depending on the surface type. If you have sealed with SBS Sealer or Porous Stone Sealer, you can seal on top with one of a higher solids level. However, test first because you don't want to end up with a higher than desired gloss level. Another option: As long as the surface is now sealed, you can use to increase the gloss level at the same time as you are protecting the sealer from traffic wear. Sealer application has adversely effected an underlying colorant that had been applied to the surface before sealing? This is probably from agitation of an applicator tool. Try just pouring the sealer and letting it flow and self level without touching it. Another possibility is incompatibility because the colorant was a water based product and the sealer is a petroleum solvent. Try the same suggestion of not touching the sealer with any kind of tool first. If not successful, you might have to change to one of the water based sealers to be compatible with the colorant. A gritty substance has settled on the surface. In this case, you can try an experiment in a small, out of way area. Flood with lacquer thinner to melt the sealer and hope the grit settles below the surface. If that does not work, lightly sand or scrape the surface, then wipe with a damp white cloth to remove dust. When dry apply more sealer. The label directions were not followed and the sealer was touched with a tool while tacky. This could leave a rough feeling surface. In this case, simply a second coat of the sealer (without using a tool this time). The first layer will melt at the surface and hopefully, all will self level the way it should have on the first application. If the first application was smooth, but the second now feels "gritty", "bumpy", "rough" see the above. The first application may not have been cured sufficiently (still tacky) and touched with the applicator tool to pull up the surface a bit. First do the glass test at the beginning of this page and you will see that the sealer will not be tacky the next day. Temperature and humidity have a little effect to the curing process, but it takes extremes to notice a difference. Temperatures under 50 degrees F. can slow the drying somewhat. Temperatures above 100 degrees F can accelerate the drying, sometimes to a degree that will interfere with good penetration. Humidity very high could create "blushing" - cloudiness. Humidity too low has not been experienced to a degree that anybody has ever reported an issue. If a surface is very absorbent, you will automatically apply a greater volume of liquid per square inch. The extra volume of liquid simply takes more time to cure and should be hard in a day or two. This applies to many types of stone, brick and tile. It is a common situation with some batches of Mexican tile and especially those sold by big box stores. Tackiness the next day can be the residue of something (wax, oil, old sealer, etc.) that was already below the surface and was floated to the top as it was displaced by the sealer penetrating down. Try wiping it off with a clean white cloth and Aldon Insta-Clean . If that does not work, next try with lacquer thinner to see if you can remove the residue without effecting the sealer finish. The surface is not level and heavily applied sealer is running, pooling and rippling. "Orange Peel" feeling to the finish: The spray can is being held too close to the surface and the pressure created by this is blowing ripples and/or bubbles into the liquid. These may not have time to disappear because of the rapid drying characteristics of the sealer. How to fix? See label and web page video for using lacquer thinner to remove the sealer, then re spray. Spray is a stream, not a mist of fine droplets - see label for cleaning the spray tip. If the last time you sprayed the can was not inverted for a short squirt to clear the nozzle, try removing the nozzle and soaking in mineral spirits or lacquer thinner for a minute or two to dissolve the dried sealer - then invert and squirt to clear it. Spray is good, but has spurts of air instead of being continuous - the tube inside ("dip tube") may be slightly bent and depending on the angle you hold the can, may not be under the liquid at all times. Just rotate the spray tip a bit. That changes the can position and puts the dip tube under the liquid surface until empty. If you see the sealer look gray, white, patchy, etc. - it has lost bond. This happens sometimes when the heat of day and cool of night cause thermal expansion of the table that stresses the sealer bond. If simply re-spraying does not work well enough to create a good, long lasting bond to the stone - see the video for removing the old sealer with lacquer thinner. This only takes a couple of minutes and then you have exposed the raw stone to achieve a better bond with the sealer.